Or, for those of you not in the US. Happy Wednesday! As for me, I'm going to be busy when I get home. I need to bake another pumpkin pie, put turkey 1 into the brine bucket, speed-thaw turkey 2 (place in cold, running water for a couple hours), and make whipped cream for the pies (cream, sugar, and spices). Gonna be very busy, but should be fun. But to have enough energy for that, I need to nosh on some bite-sized gaming stories. 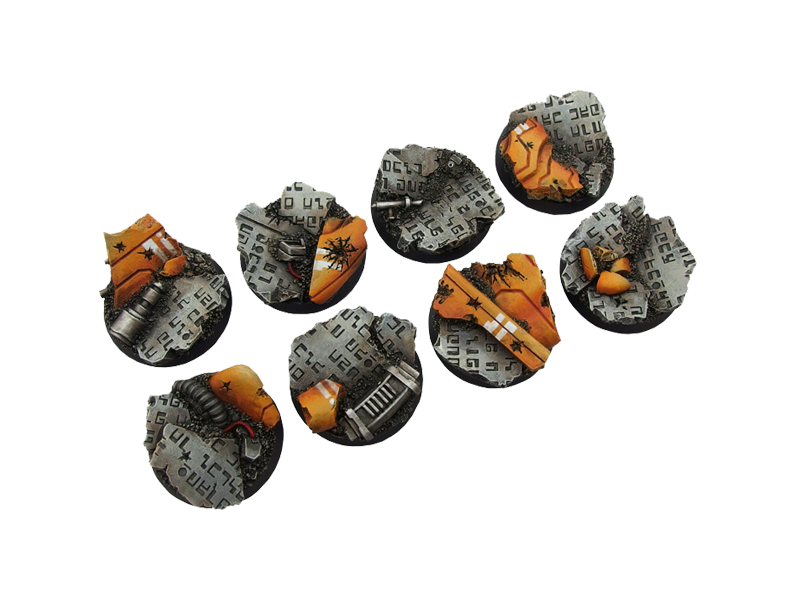 Today we have: New Infinity Dice Sets From Corvus Belli, New Bases Available From Micro Art Studio, BattleScribe 2.0 Released, Dungeonland PnP is now available and Kickstarter Stretch Goals are revealed, New Alien Heads From Ramshackle Games, Okumarts Games team up with GG Studios, New Releases Available From Dark Sword Miniatures, Divine Art Playing Cards up On Kickstarter, Comrades in Battle Stretch Goal Levels Lowered, Head set Multi Pack From Ramshackle Games, NPC For Hire Game Aid On Kickstarter, New Temple of Isis Bases From Tabletop-Art, Fusion Bases by Wamp Up On Kickstarter, Highway System Coming to Kickstarter, New Female Greatcoat Troops Available From Victoria Miniatures, and New Hordes Token Sets Available From Advanced Deployment. New dice set! This month: PanOceania, Combined Army & Tohaa! 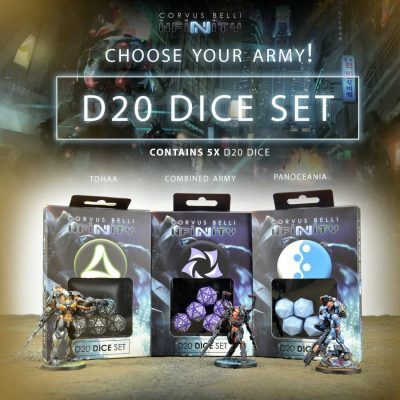 Finally, all the armies have their own dice sets! 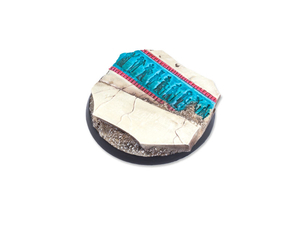 We've updated some base lines at Micro Art Studio store. After over 18 months of development, BattleScribe 2.0 is finally here! This is a major rewrite of the core systems of BattleScribe and it's data format. 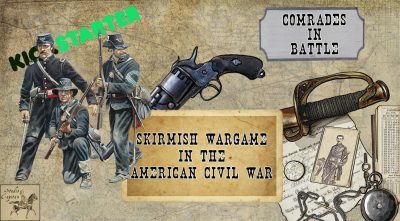 It's aimed at expanding the range of game systems it can support, and ensuring it is capable of keeping up with the ever evolving wargaming scene for years to come. Almost every line of code in all versions of the app has been rewritten, reorganised, refactored or removed. All major systems have been redesigned and rebuilt. BattleScribe is reborn, more powerful than ever. Aliens invade with our latest release: Alien Heads! 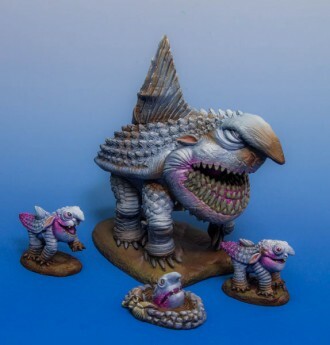 There are three new sets added to the heads section of the Ramshackle Games web store, Greys, Beast aliens and Bug-Eye aliens. Okumarts Games brings you a set of Renaissance-era zombie fighters to battle the forces of the undead. 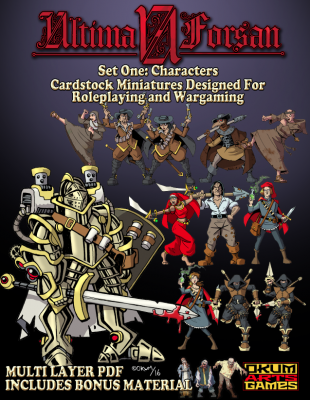 This set of paper miniatures is the first in a series of characters and terrors designed to provide an exciting game experience for the Ultima Forsan setting for Savage Worlds or any Medieval to Renaissance fantasy adventure. Multiple layers allow for dozens of miniature variations. The bonus material includes a horrifying set of undead to challenge your heroes. We have 11 brand new Tony DiTerlizzi Masterworks releases that were just posted up to the Dark Sword Online Store. They are here and ready for shipping out around the world. No waiting required and they can arrive in time for the holidays. 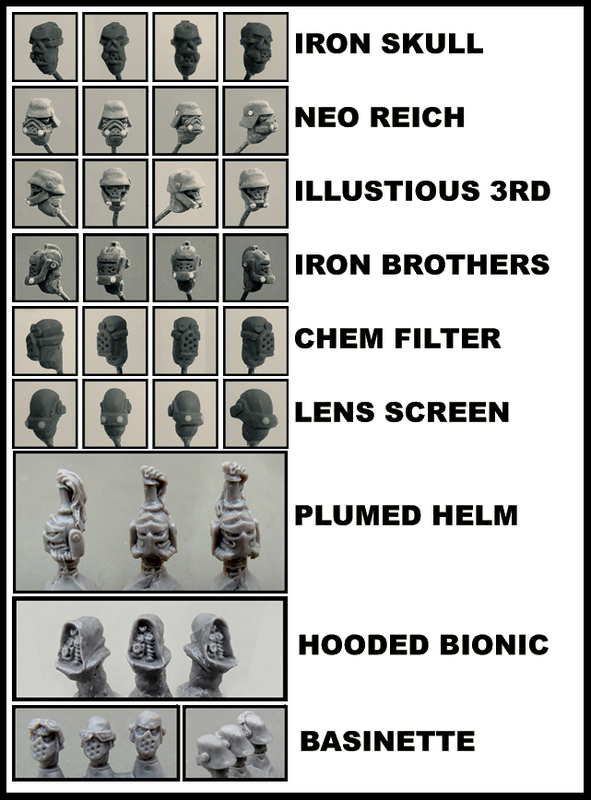 Dave Summers did the sculpting honors on all 11 releases. This is one of the first playing card project with a combination of features never seen before on or outside Kickstarter. 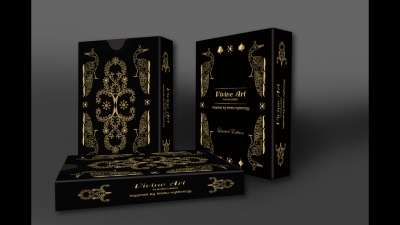 It includes highest quality card stck 330 gsm German black core with gold foil on tuckbox and card back plus gilding on all cards. 4th Stretch Goal is now £7,500. Which means that we'll be able to release the cavalry leader figures much earlier than originally thought. We are also bending our minds to adding another couple of Stretch Goals to keep the project moving and our backers benefitting - watch this space! After the release of the Alien heads, I have added a new Multi Pack. Now you can get any 4 Ramshackle Games head sets for £15. As usual this comes with free world wide postage included, so thats up to 40 heads delivered to your door for less than 40p each! 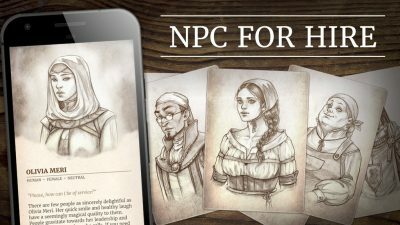 NPC For Hire, a 52 card deck of hand draw portraits, is now available on Kickstarter. Artwork for the project was created in collaboration with Cristiana Leone, a phenomenal fantasy portrait artist. What really makes this project special is the companion app that was developed specifically for these cards. The app lets you randomly generate, create, and save NPC conveniently on an Android or iOS devices. There are a lot of NPC generators our there, but the artwork plus intriguing narratives, feats, and flaws make this one unique. 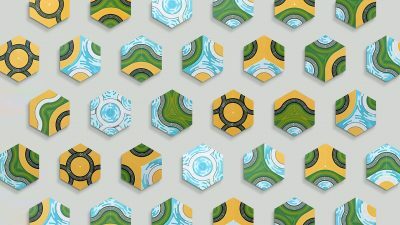 The card decks are being offered to backers for $20. Early backers will get a free download of the app. More information can be found on the kickstarter campaign page which will run through December 21st. 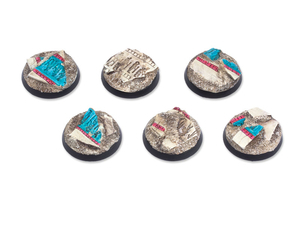 We are expanding our Temple of Isis Baseset by the following sizes: 32mm, 50mm, 55mm, 60mm and 120mm oval. 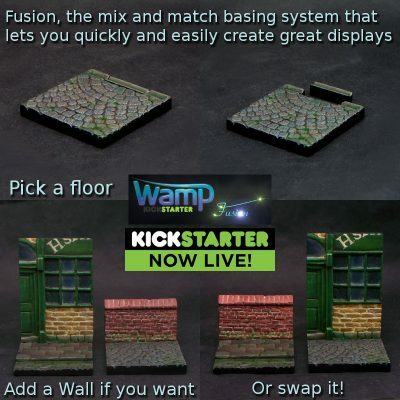 Wamp's 2nd Kickstarter Fusion has just launched on Kickstarter. 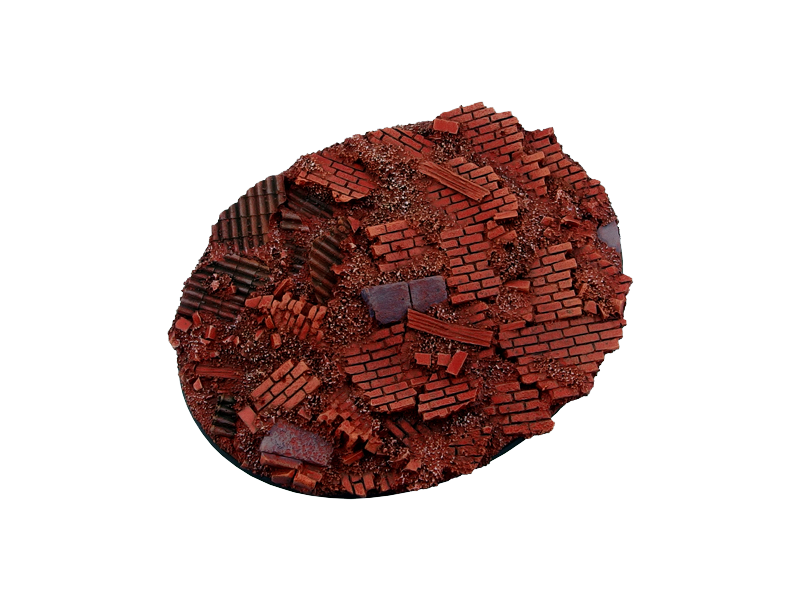 Fusion is a basing system designed to allow for numerous display base looks to be created form a set of walls, floor and plinth sections. “Highway System” is a tabletop strategy game that was inspired by GO & UNO. This game was carefully designed so that each game ends up being a beautiful landscape that is photo worthy. Recently, tabletop games are more often than not, becoming very complex. 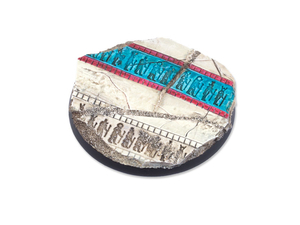 From the game rules, to the amount of game pieces require and even down to the graphics. While the rich gaming experiences are often very enjoyable, it often makes a new game very difficult to learn. 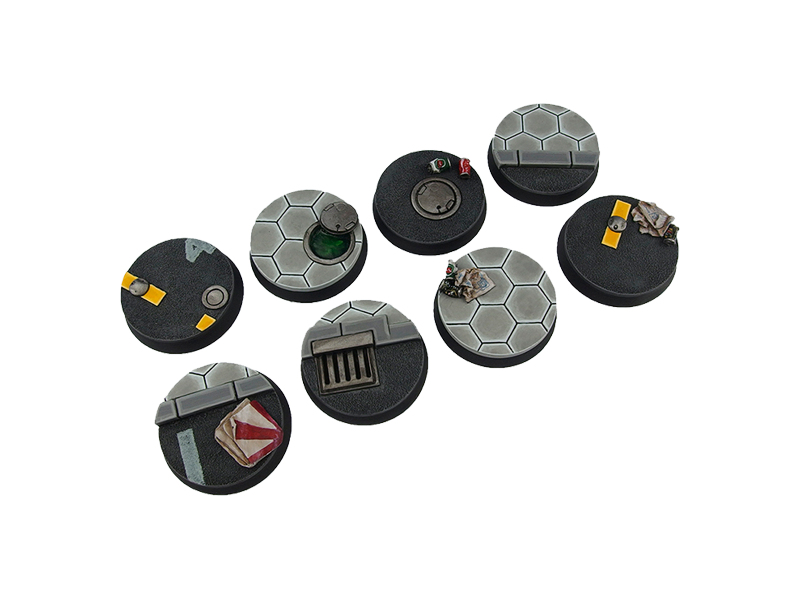 “Highway System” is a tile laying tabletop game that aims to be both minimal yet complex at the same time. Minimal in the sense that it has very simple game rules so it is easy to learn. The tiles are designed with a minimalistic style, making them both functional and aesthetically pleasing at the same time. The simple game rule allows players to approach the game in multiple angles. This results in a very complex gameplay, almost like chess. “Highway System” was also designed in a way that the tiles only contains graphics. This allows each round of game ends up looking like a map that the players have co-created. The entire gameplay can then be captured by a single photograph. Introducing a shiny new regiment to the Galaxy's Finest; The Rausenburg Siege Corps. These greatcoat troops have already been spotted crewing the upcoming BFG Sledgehammer. 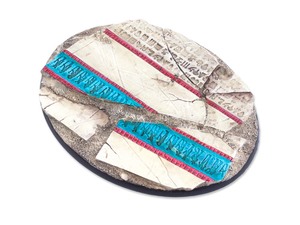 Now their foot-slogger comrades join them, starting with the Rausenburg Siege Corps 10 Woman Squad and the 5 Woman Squad. The Rausenburg men will join them in the coming weeks. 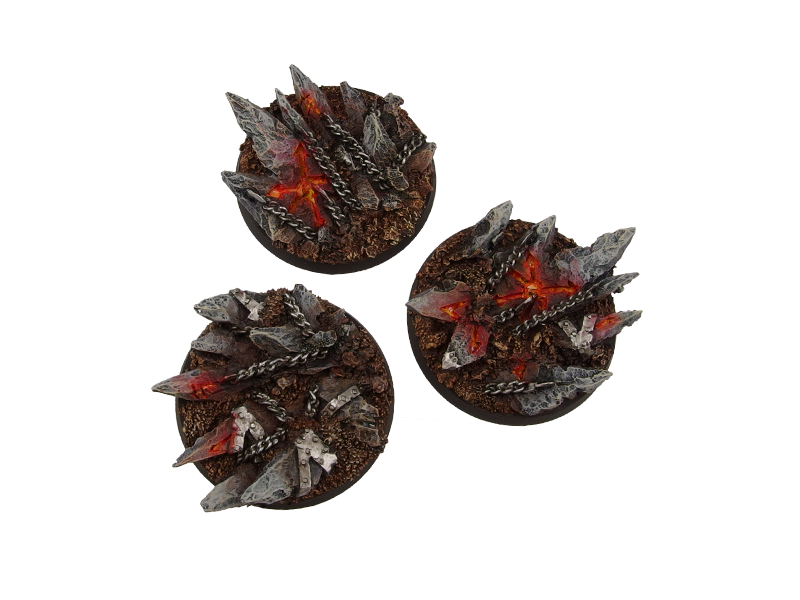 Lots of new Hordes tokens are available now in our webshop!